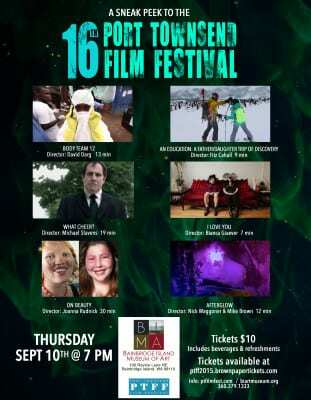 A sneak peek of the popular Port Townsend Film Festival comes to the BI Museum of Art at 7pm on Thursday, September 10th! In this podcast, festival director Janette Force tells us about the preview evening on Bainbridge. 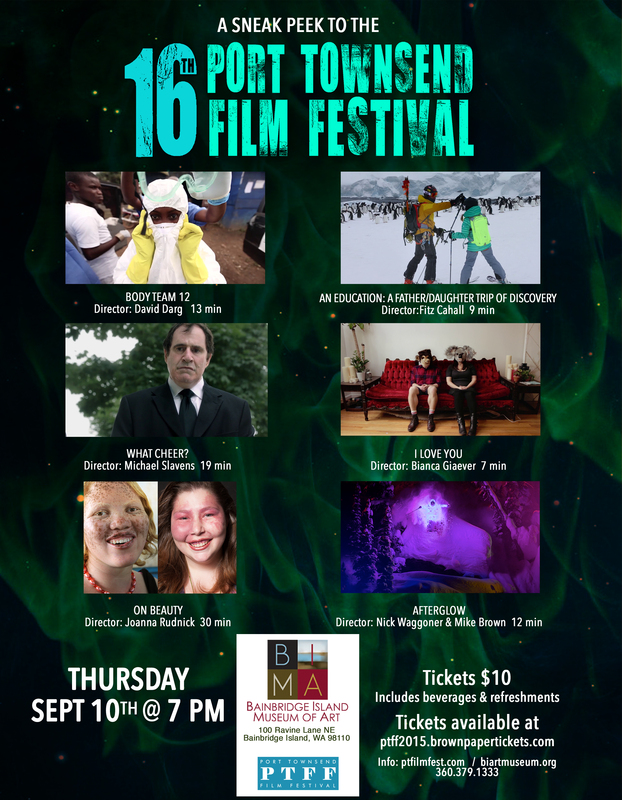 This exciting event will feature six short films, inside scoop on the festival’s special guests Beau Bridges and Chris Cooper, and refreshments offered up by the art museum bistro. Regardless whether you will be able to attend the 16th annual film festival in Port Townsend, you will be delighted by this preview. The two are not mutually exclusive. In fact, if you have been wondering whether to spend a day or two or three in beautiful Port Townsend, attending this sneak peek may just push you over the edge. Afterglow: Directed by Nick Waggoner & Mike Brown (12 minutes). Tickets to the BIMA preview — “PTFF 2015” — may be purchased for $10 in advance at Brown Paper Tickets, or that night at the door (cash or check only) if any of the 150 seats are still available.